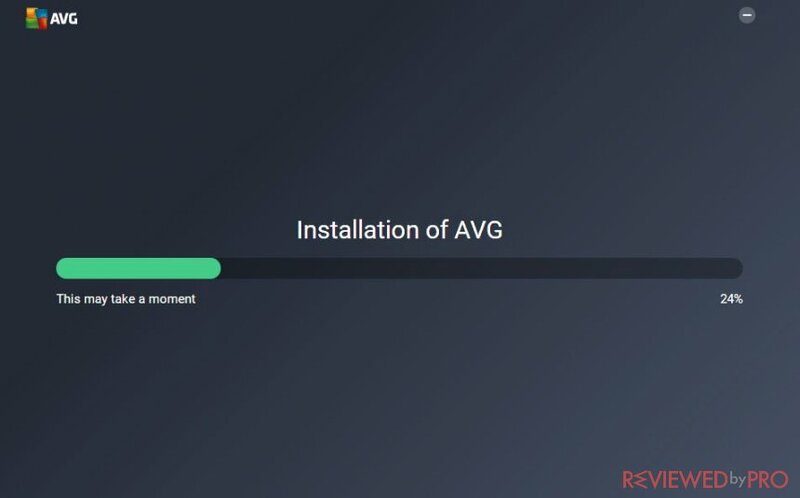 This short guide will help you install AVG Free Antivirus 2017 on your computer. The step-by-step manual is easy to use and it will get you the software running in less than 10 minutes. You can download the software from this page. The installation file is small (only 3.5 Mb) and will not take up much space on your computer. It should arrive in a few second, but that also depends on your Internet speed. 1. Once the file is downloaded, locate it and then open it. At first, the Windows system will ask you if you really trust the source and want to open the file. Click ‘yes’ and the installation will start. 2. Now, the Installation Wizard will begin. Just press ‘Continue’ for the process to start. You will see a green bar that will go to the right side until it touches the endpoint on the right. The installation usually takes up no more than two minutes. 3. 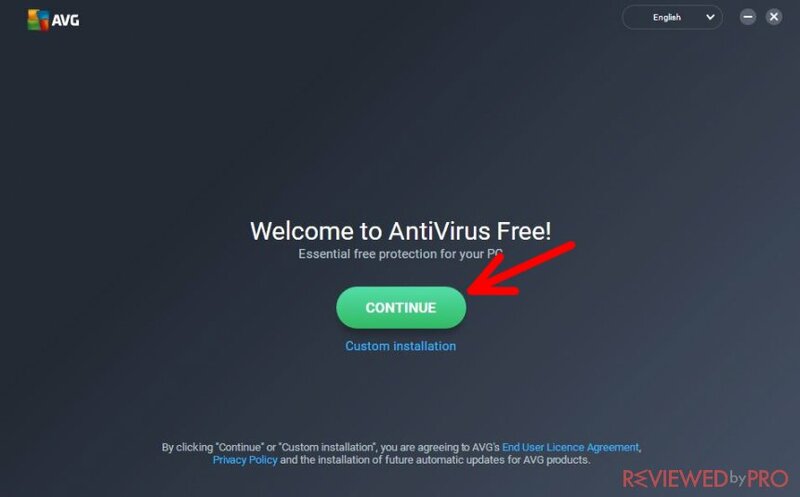 Once the installation is finished, you will get a message saying ‘congratulations, your AVG Free Antivirus 2017 has been successfully installed!’ Just press the ‘OK’ button and you will be able to open your new anti-malware program for the first time. 4. Another important thing to do is updating the virus database. This procedure helps your antivirus program meet its full efficiency. 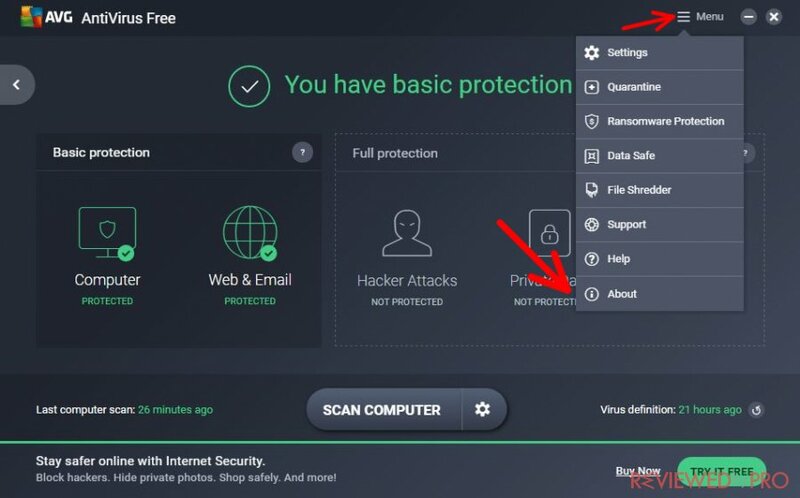 AVG Antivirus has a special feature in its user interface – it shows whether you need to update the database or not by indicating it either red or green. If it shows you the green colour, it means everything is fine and up to date, and you do not need to do anything. However, if you see that the indicator is red, please press the ‘update’ button and let the antivirus download the needed updates to protect your PC. After everything is installed and updated, you can finally use your new version of AVG Free Antivirus 2017. The real-time protection is recommended to be kept on, while there are other features which might be useful for you too. This anti-malware application is quite user-friendly. Here we have its main features explained in great detail so that you could see what the program actually does. To perform a scan, you just need to click on the button 'Scan Computer'. This will initiate a quick scan. However, if you click on the gear icon near the 'Scan Computer' button, you will get a wide selection of different scan types that you can choose from, like the deep scan or the scan of external devices. 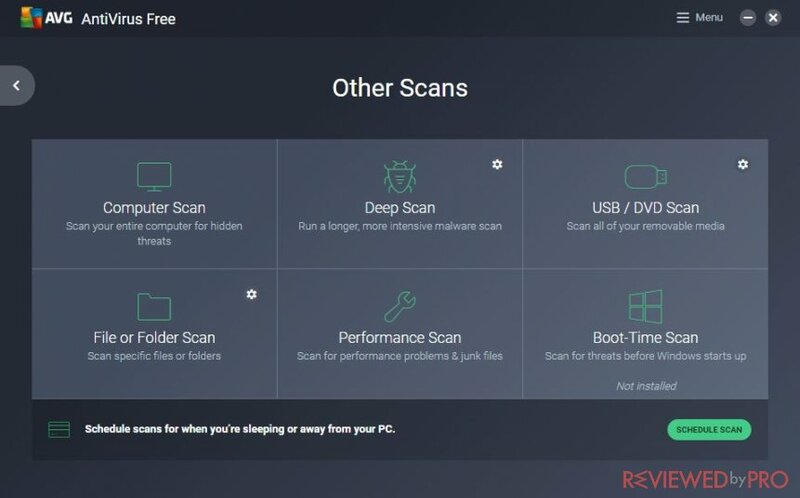 After the scanning is finished, you will see a list of threats that the app found on your computer. In order to get rid of them, click 'Next'. Here you will see the performance issues, spotted by the anti-malware application. If you click 'Resolve', you will see a window like the one below. It will offer you the subscription options. 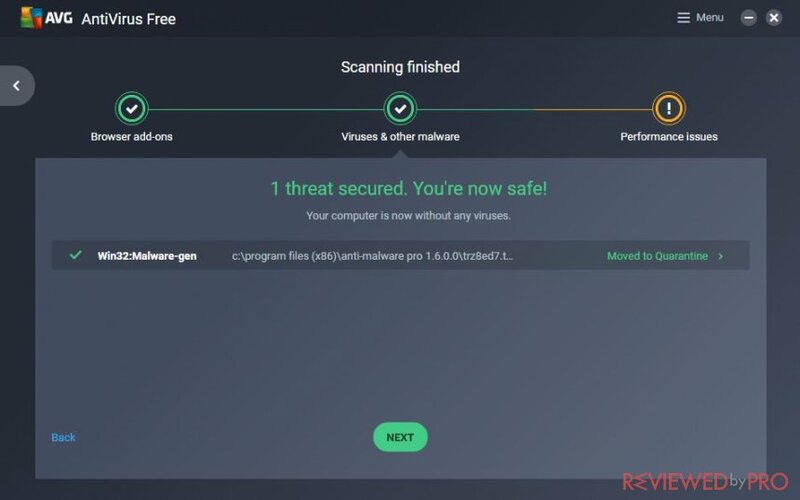 You won't be able to eliminate the threats without buying the full version of the program, and that's why it is recommended if you want to keep your PC secure. You can choose the subscription that fits your needs the most and press 'Continue'. In addition, it is also important to say that AVG Free Antivirus is now available for different operating systems. The manual we gave you is best for Windows 10, but it can also work successfully on other Windows versions.If you also use a smartphone, it might be interesting for you to have a look at the Android or iOS versions of the AVG Free Antivirus 2017. Those versions can be downloaded from the Play Store or App Store and it will take only a few clicks to install them. 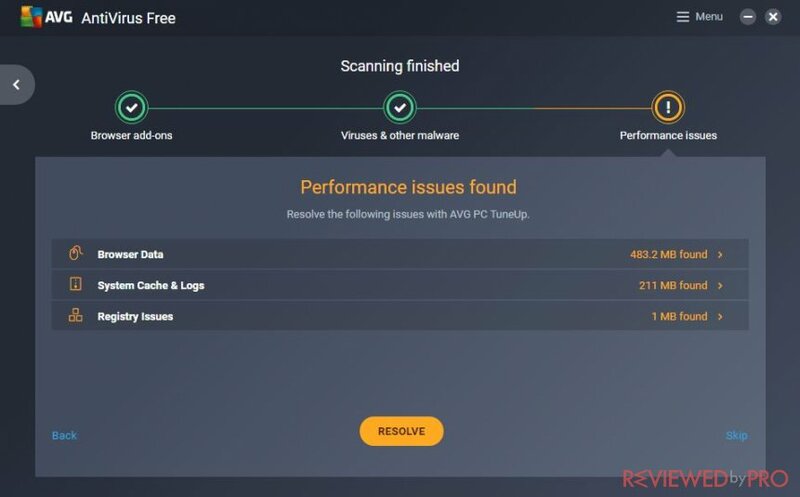 Since AVG are also giving the mobile versions of their antivirus software for free, it is definitely worth checking out. If you also use a smartphone, it might be interesting for you to have a look at the Android or iOS versions of the AVG Free Antivirus 2017. Those versions can be downloaded from the Play Store or App Store and it will take only a few clicks to install them. 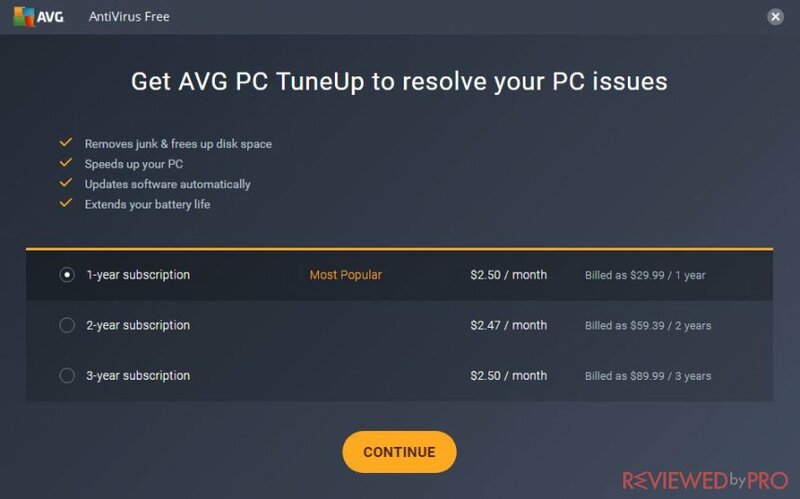 Since AVG are also giving the mobile versions of their antivirus software for free, it is definitely worth checking out. Scanner – probably one of the most important things in an anti-malware application. You should really do a quick scan every day you use your computer to find out if it is healthy and safe. The ‘quick scan’ mostly focuses on the newest files and the newly-installed software, so it doesn’t take long to scan. The ‘full scan’ may take up a few hours, as it scans each file on your device. Quarantine List – you can see the files that you have previously quarantined and remove them or pass them through the antivirus system. About – here you will find the main information about the software, like the build version, the current updates, and the company name. Help –in this section, you will be able to find the answer to your issue and also contact the technical team to get fast and operative support. Settings – AVG ‘Settings’ is a tool for you to customize the program the way you want it – should it send you a notification every time it finds a threat, or should it keep it silent? It also lets you customize the duration of the ‘gamer mode’, sounds and reminders. Here you can also schedule a full scan or check for updates. This program also lets you make an exception for the software that you trust. 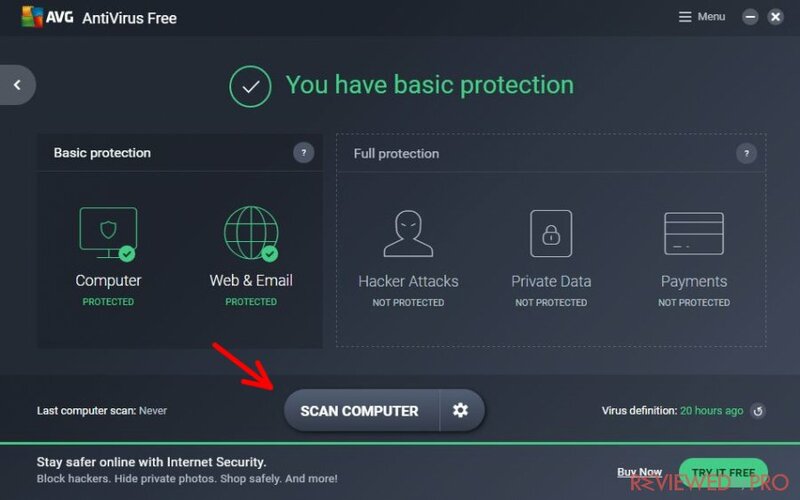 Check out this page for updated info on how to download and install AVG Free Antivirus 2017 on your computer. We constantly provide you with updated info so that you would be able to install new antivirus software without having any problems. 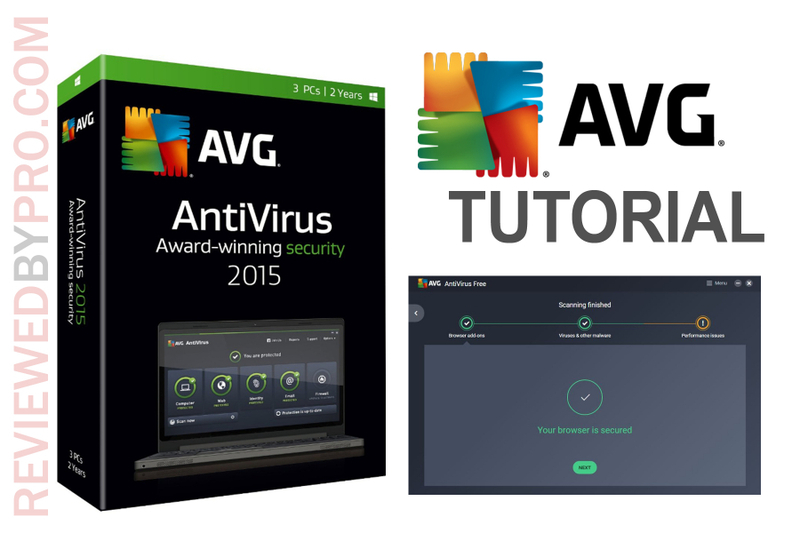 We hope you will enjoy using AVG Free Antivirus 2017! Besides AVG Free Antivirus, you can also download another version of the software, which has a lot more features. This other version is called AVG Internet Security 2017 and it has several interesting features, which include an enhanced firewall, secure shopping and paying online, and an enhanced anti-phishing system. This enhanced firewall system might help you prevent hacker attacks, while secure shopping and paying online is a feature that will help you get rid of all the attempts to steal your debit or credit card credentials and other sensitive personal information. The enhanced anti-phishing system is also a feature to look for, as the free version of this program does have a lot weaker anti-phishing system which might not be enough. In addition to this, the AVG Internet Security 2017 version also has a spam and scam filter, which will help you get rid of suspicious emails and bots on the Internet.